The cloud revolution has been good to the business community and, believe it or not, reduced capital expenditures are not the most significant benefit. This transformation is all about flexibility and mobility, giving organizations and their employees more options when it comes to how and where they work. In other words, relatively few people must be tied to their office-based PCs and landlines anymore. We have the freedom to be productive virtually anywhere at any time. That cloud and mobility workplace transformation has been a boon to those charged with building and maintaining business continuity strategies. Today’s remote offices have no geographic boundaries (other than a reliance on wireless and internet connections) and, with the right planning and preparation, may fill the role as a backup site when natural or man-made disasters occur. Hosted VoIP services offer a lot of advantages to businesses in those situations. When a hurricane or wildfire threatens a company’s operations, these virtual technologies allow workers to shift their locations without missing a call. For example, Dun & Bradstreet reported that Hurricane Florence may have impacted 150,129 businesses across 28 counties in North Carolina ‒ and that doesn’t include those in other states that closed or were damaged by the flooding and high winds. Since hosted services don’t rely on on-premise resources, there will be little if any interruption, even when there’s no notice. Not even sudden disasters, such as fires, floods, or earthquakes can stop properly designed and implemented virtual business solutions. In the case of hosted VoIP, employees may not be able to use their traditional desk phones, but these cloud-based technologies allow workers to answer and make calls with their regular extensions via mobile devices and computers. In other words, businesses won’t have to miss a beat in emergency situations. Hosted VoIP allows anyone to transfer business voice communications to other locations anytime ‒ whether there’s a major catastrophe or an employee just needs to step away for a few minutes. It’s a backup solution that any organization can leverage at any time from day one. Whether they admit it or not, your clients depend on voice communications as much if not more than email, collaboration, and customer relationship management solutions, as well as other business tools. MSPs have to make sure they all work at all times. Of course, that might not be a reality without a comprehensive business continuity strategy in place, including updated plans, offsite backup solutions, and policies and procedures that ensure prompt restoration of the company’s data following a disaster. Hosted VoIP ensures the quick reestablishment (if not continuity) of their voice communications. When there is ample warning before disasters occur, MSPs can help their clients relocate their office operations to safer locations and set up temporary workstations, routing all communications to that facility. Some providers even handle real estate rental arrangements for their customers. 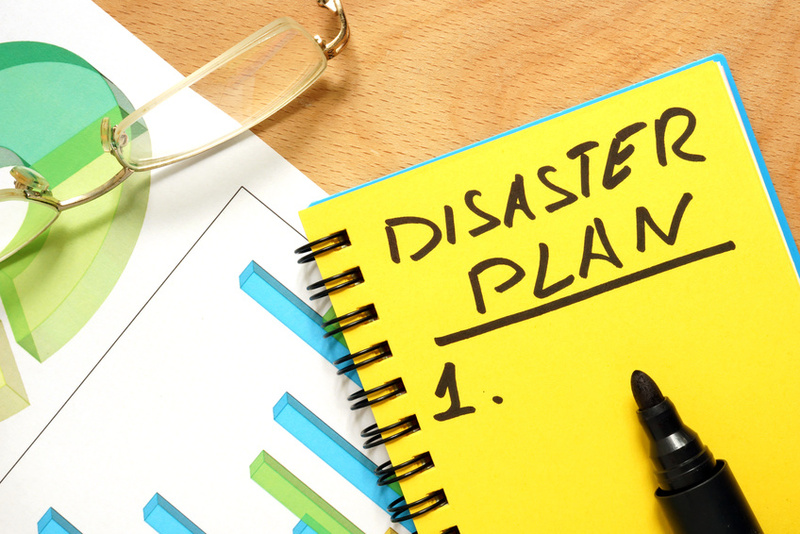 If disaster does strike the main operations, short-term or long-term, arranging a backup site ahead of time will help keep the business running until they have a more permanent solution in place. A cloud-based VoIP system lets organization maintain constant communications with affected employees, emergency agencies and local officials, as well as the clients who rely on their products and services. Those connections are crucial in emergency situations. What things can providers do to ensure voice communications are part of their clients BDR strategies? Cover all types of communications in clients’ DR plans. First of all, ensuring the safety of employees and their families, neighbors, friends, and other community members always come before business concerns. Once the danger has passed and operations can resume, team members will need access to email and voice communications. Implement hosted VoIP on multiple devices. Install mobile apps on all business-approved smartphones, tablets, and PCs. Track device inventory and install updates as required. Train employees. Just because MSPs install the technology doesn’t mean everyone is using it or knows how it works. Ensure employees know how to use all the necessary functions, including call routing and transfer and message retrieval. Emergency situations may dictate changes to voicemail messages and directory options, so everyone should receive training on those processes. Interested in building a voice communications backup solution for your business clients? Familiarize yourself with the features and advantages of ConnectMeVoice’s hosted VoIP and determine how it can help your clients before, during, and after a disaster occurs. Give ConnectMeVoice a call today (800) 743-1208, visit our Partner page, or drop us a line by filling out the form.